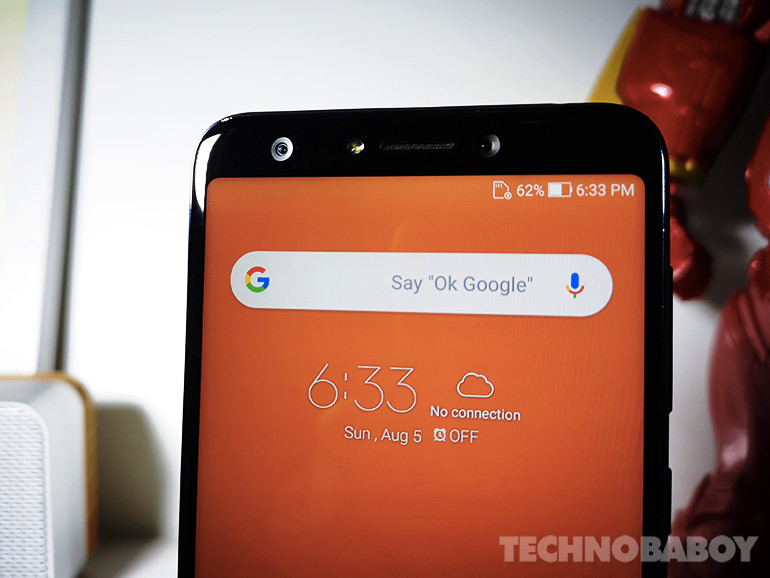 We recently reviewed the Asus ZenFone 5Q, also known internationally as the Asus ZenFone 5 Lite. 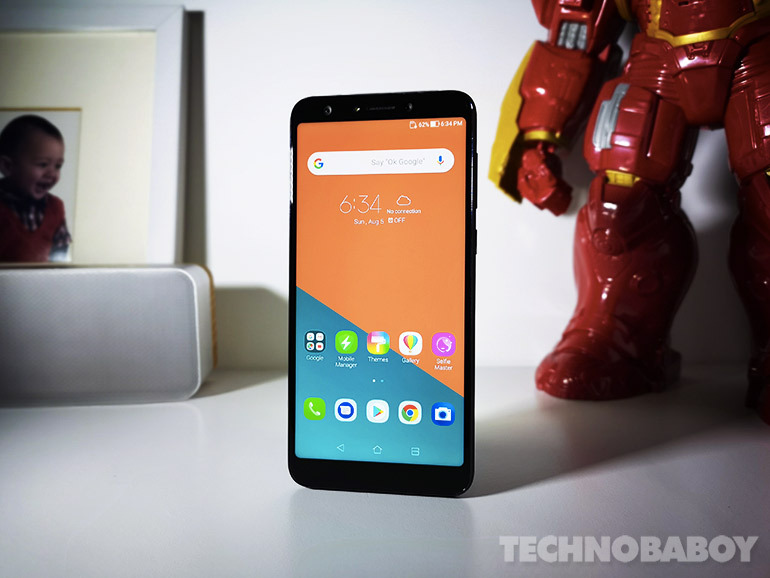 The mid-range handset sells for PHP14,995 and features a 6-inch Full HD+ display, a Qualcomm Snapdragon 630 Processor, and a quad-camera setup. The processor is paired with 4GB RAM, an Adreno 508 graphics chip, and 64GB of expandable storage. The battery’s decent (3,300mAh), too, especially if you fall within the average user category. It’s built to look and feel premium, a little bit heavier than average and with a solid grip to boot (more on that later). 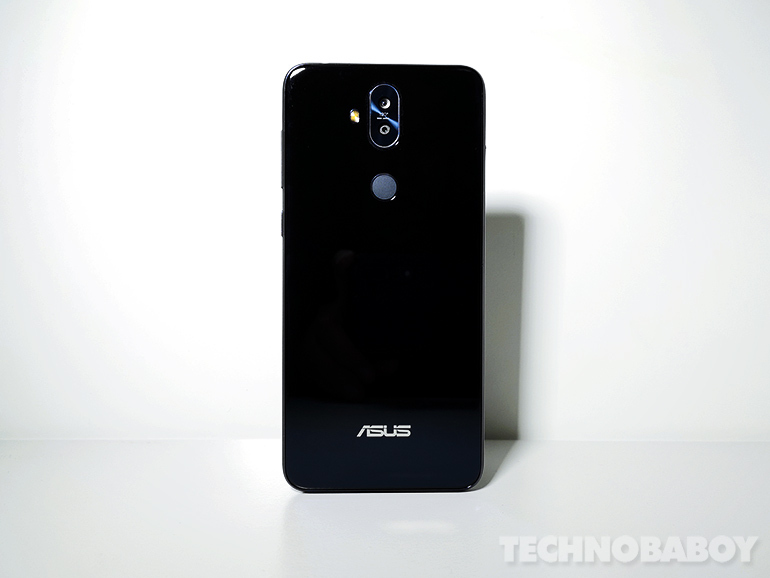 The Asus ZenFone 5Q comes in three luscious colors: Midnight Black, Rouge Red, and Moonlight White — for the low-key, the confident, and the bashful personalities, respectively. Every box comes with all the things you can expect aside from the phone itself: a pair of earphones, micro-USB cable and USB power adapter, ejector tool (SIM tray needle), and the usual documentation (user guide and warranty card). 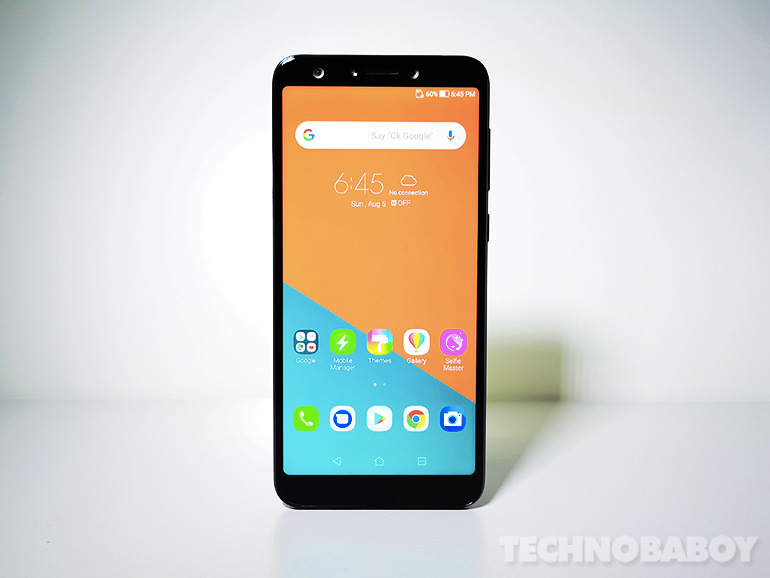 When you pick up the ASUS ZenFone 5Q, the very first thing that stands out is that the screen is elevated, and the back panel mirrors that, creating that edged feel when you’re holding the phone. If you’re used to most smartphones, this may feel a little awkward at first. But the more you use it, you’ll begin to appreciate that it’s not purely an aesthetic feature. It turns out to be quite functional, whether or not ASUS intended it to be so. 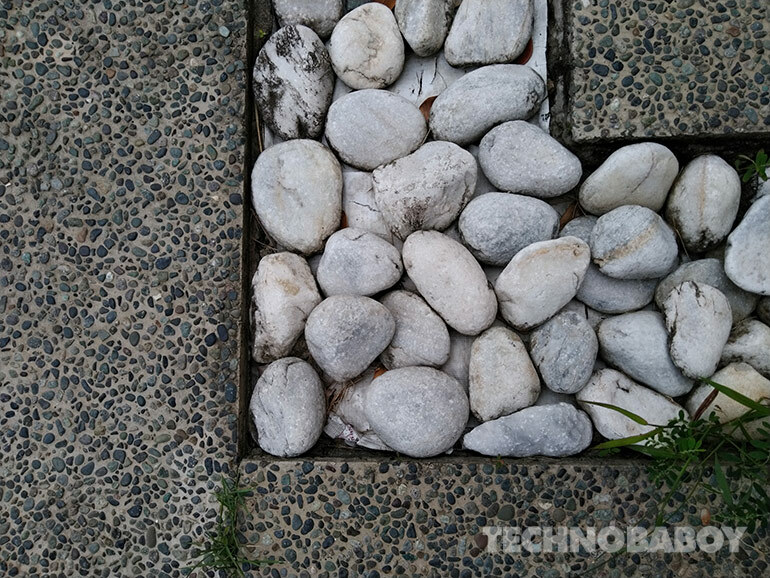 The ASUS ZenFone 5Q’s “edges” actually give the phone a more secure grip. So if you’re the type who watches videos or plays games or stays-up-to-date on Instagram while lying down with the phone right above your face, or if you’re a generally clumsy person who’s prone to dropping whatever you’re holding in your hands for no reason, then this phone is a match for you. The 6-inch display is surrounded by slim bezels for a screen to body ratio of 80.3%. The volume rocker and the power button are on the right and the SIM tray is on the left. The audio jack (standard 3.5mm) is at the top, giving room for dual built-in speakers and the USB connector at the bottom. 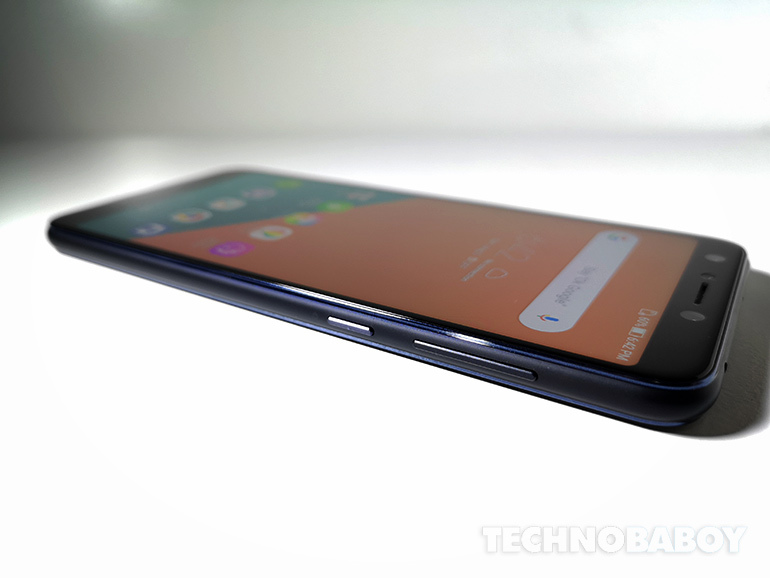 There’s no branding in front so it looks pretty sleek, but the 2.5D curved glass at the front and back makes the phone a hand and finger print retainer! So if you have sweaty palms, you’ll have to wipe it often to keep it looking nice and clean. The phone’s a bit on the heavy side compared to other players in the same price range, but that tells you it’s a well-built device. The ASUS ZenFone 5Q features a 6-inch 18:9 Full HD+ IPS display, with a 2160 by 1080 resolution and a pixel density of 402ppi. Colors are rich and vivid, too, so overall, it’s a reliable display setup for watching videos or playing games. Even at its lowest brightness setting, the display could still be too bright for some — so the five-level Bluelight filter really comes in handy for heavy phone users who are conscious of their eye health. Out of the box, the ASUS ZenFone 5Q’s OS is still Android 7.1.1 (Nougat), so you have to manually update to Oreo. Some might consider this an inconvenience, but here’s a tip: just update it right away as you set up your device the first time and you won’t have to worry about it! 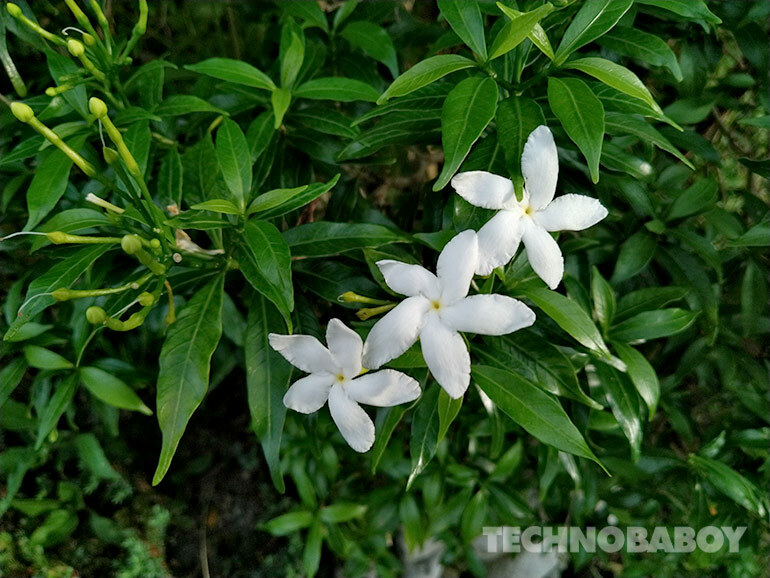 As for the OS, it’s already on ZenUI 5, which is clean and simple, intuitive and easy to use. Pre-installed apps are Facebook, Messenger, and Instagram, and Google Suite (Google Search, Chrome, Gmail, Maps, YouTube, Drive, Calendar, Photos, Voice Search, Play Music, Play Movies & TV, and Duo). 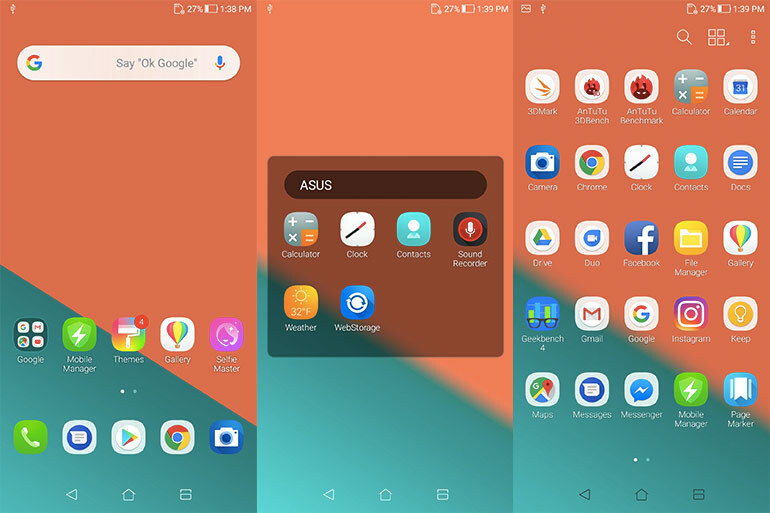 ASUS native apps like ZenUI Safeguard, File Manager, Mobile Manager, and Selfie Master are also included. 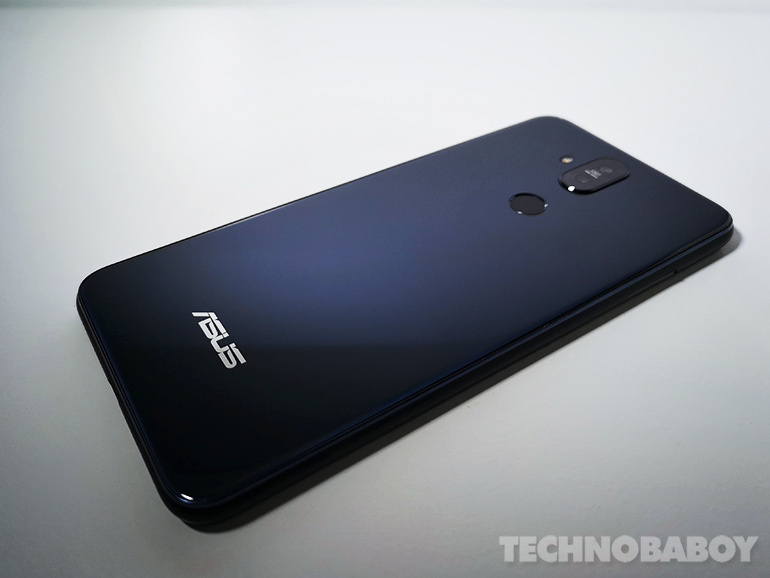 The Asus Zenfone 5Q is powered by a Qualcomm Snapdragon 630 Processor, paired with 4GB RAM and an Adreno 508 graphics chip. Navigating the handset, I found the UI to be fast and responsive. Animations are smooth and lag free. The device comes with 4G LTE, Wi-Fi direct, Bluetooth 4.2, GPS, FM Radio, a micro USB port, and NFC. Its SIM tray has three slots. 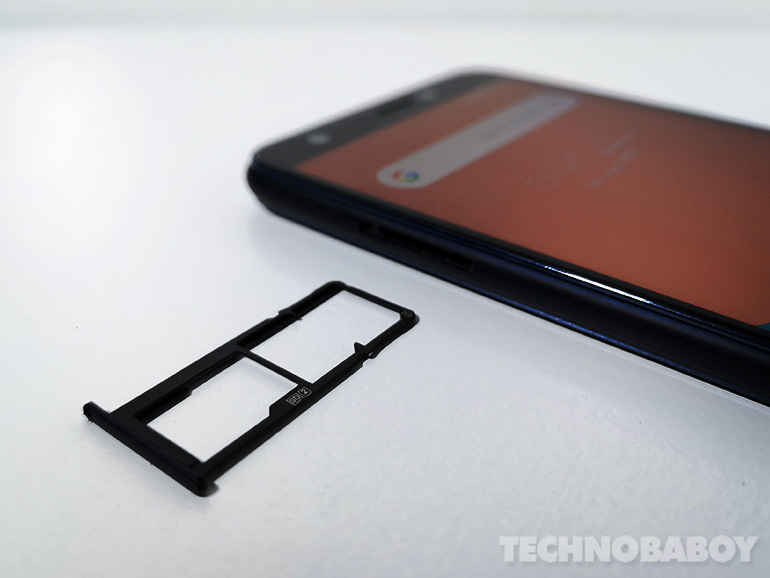 Two are for nano SIM cards, both of which are able to support 4G LTE network band (but note that only one SIM at a time can connect to that service). The last one is for the MicroSD, which can support up to a 2TB card. Phone calls are pretty clear, whether it’s directly on the handset or through a hands-free device. LTE connectivity and Bluetooth worked perfectly fine, as well. There are different ways to unlock the phone: the traditional PIN/pattern/password, and the Biometric face recognition/fingerprint scan. Between the two, the fingerprint scan is definitely the faster and more reliable option. Face recognition worked okay for the most part, but under low light, it struggled a bit (failed me twice until I moved under a brighter light). 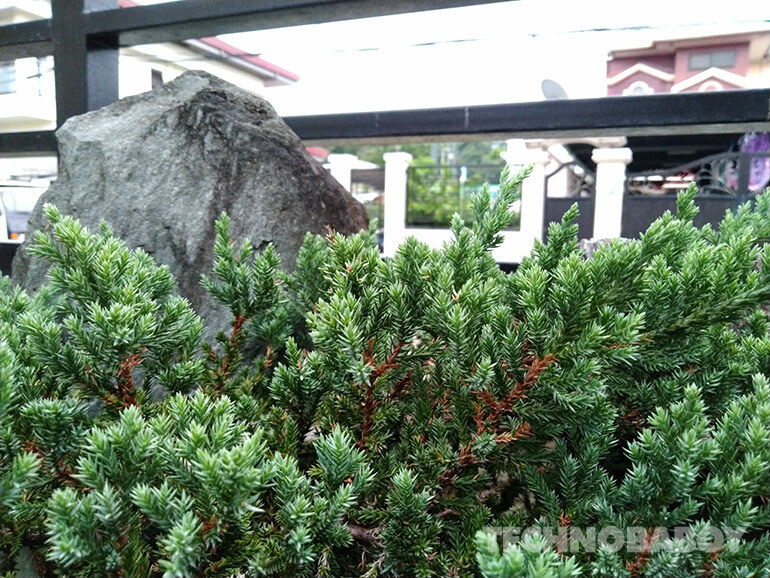 The Asus ZenFone Q5’s quad-camera system is definitely something worth checking out. The main front camera features 20MP Sony IMX376 image sensor, f/2.0 aperture, 85.5% field of view, and Softlight LED flash. All that, matched with the ASUS SelfieMaster technology for smart beautification, will get you those great selfies you want. As for groupfies or wefies (or whatever they’re called these days), the second front camera will fit more of your friends in the frame. 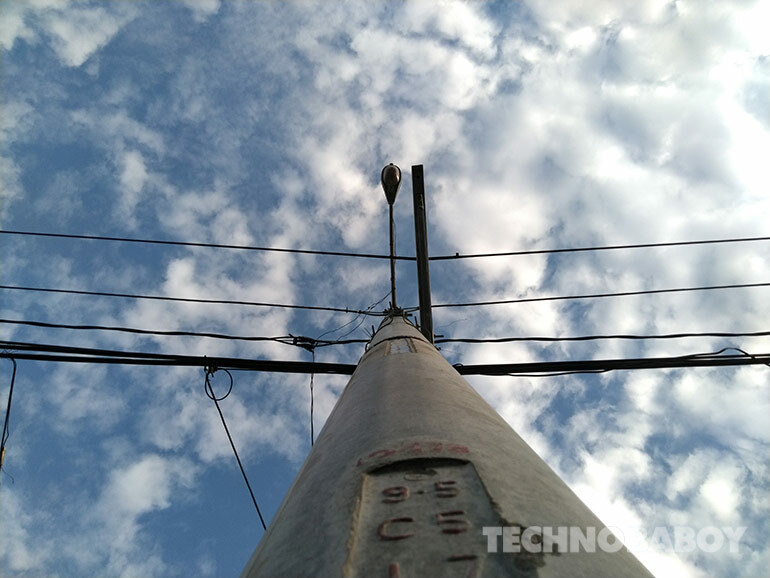 The 8MP 120-degree wide-angle camera with 6p lens allows for a 200% wider view. The rear set-up is quite solid, too, with a 16MP main camera and an 8MP 120-degree wide angle secondary camera that works great for travel, action, nature, and food shots. For video recording, the main rear camera can shoot at a maximum resolution of 4K at 30fps. It’s not bad, but it’s not spectacular either; it just gets the job done. 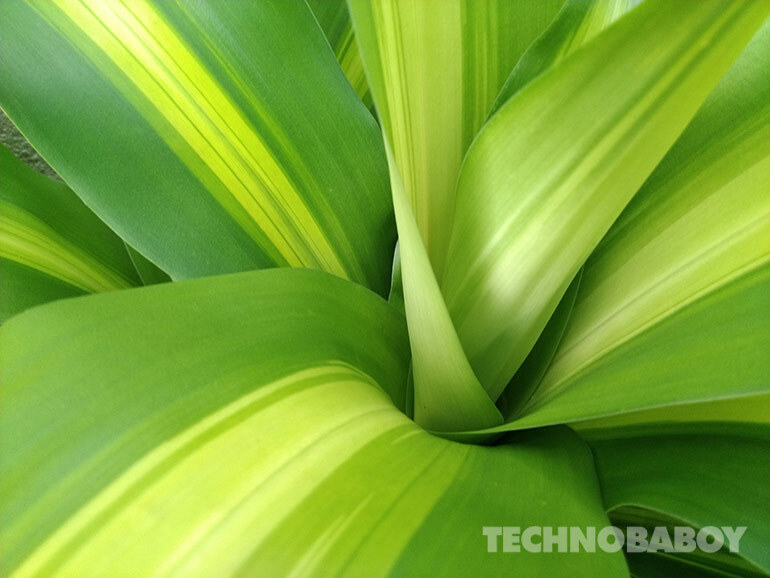 Generally, though, the brighter the environment, the better the resulting photos and videos — this rule pretty much applies to most smartphones, anyway, so it’s not really an issue. 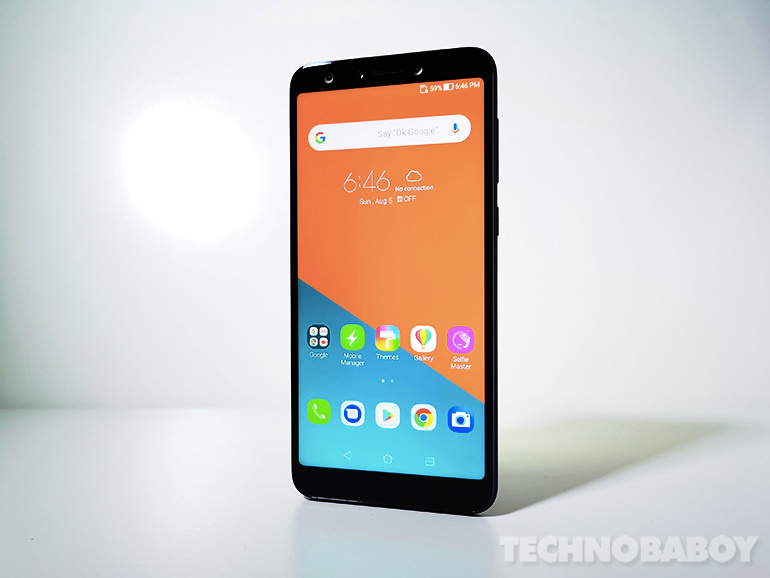 With a 3,300mAh battery, the Asus ZenFone 5Q falls within the average for its price category. A full charge can last up to about a day of constant Wi-Fi connectivity, heavy browsing, and photography. But if you’re on 4G LTE, watch a lot of videos (whether stored or streamed), and/or play a lot of games, then you may have to charge the phone before the day is over. 0% to 100% is roughly at two hours. The Asus ZenFone 5Q is a solid mid-range device that’s designed to look premium. With a price tag of PHP14,995, it performs a little above expectation, although there’s definitely still room for a few tweaks and upgrades. Nevertheless, the overall experience is good, especially for the casual user.